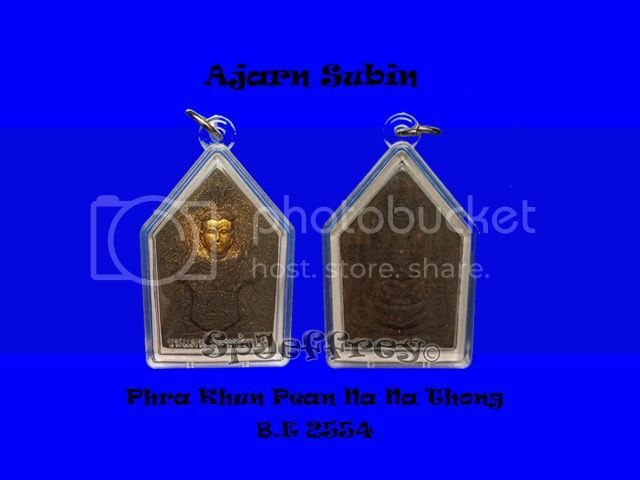 Comes in original temple package and kartha. 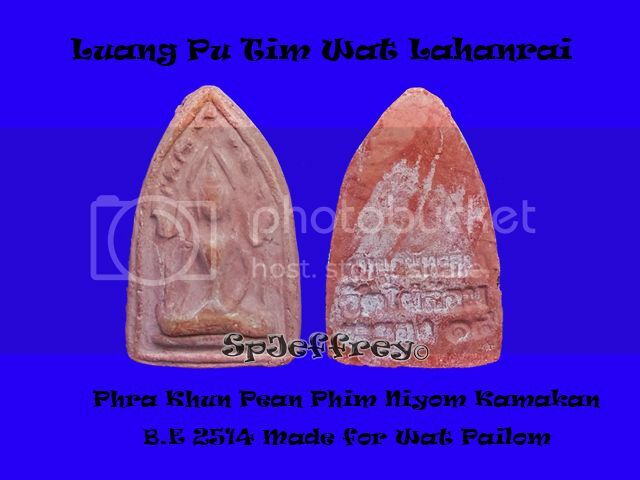 This is the smallerst phim of Khun Pean that Luang Phor have created during B.E 2522 and it is the only batch of Khun Pean that he had made and stop producing it after it. Many Fakes have flood the market due to the feedback that they have heard. Excellent for Maha Senah and Metta at an affordable price. A very good size to wear and even put at the back of your necklance due to its lightweight and size =). Luang Pu Nak followed the procedures exactly as laid down by Somdej Phrra Buddhacharn Toh as known as Ajarn Toh to create his own Somdej. 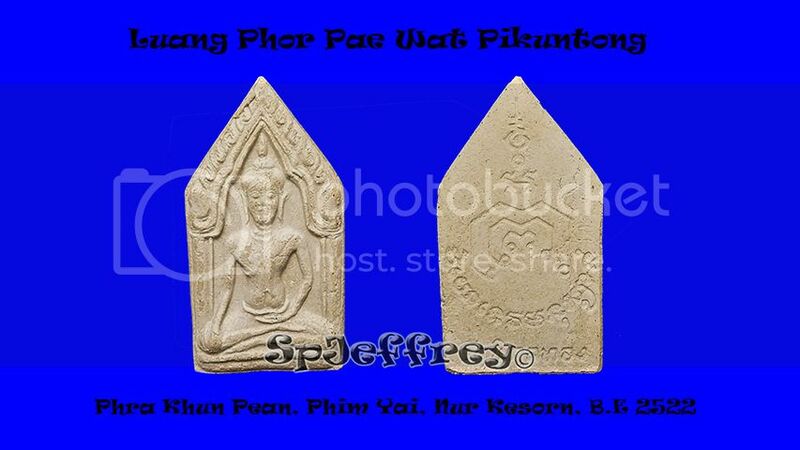 As knowledge is passed down from generation to generation, Luang Pu studied the old texts and manuscirpts from Ajarn Toh and was known as disciple of Ajarn Toh even he was not born in the era. 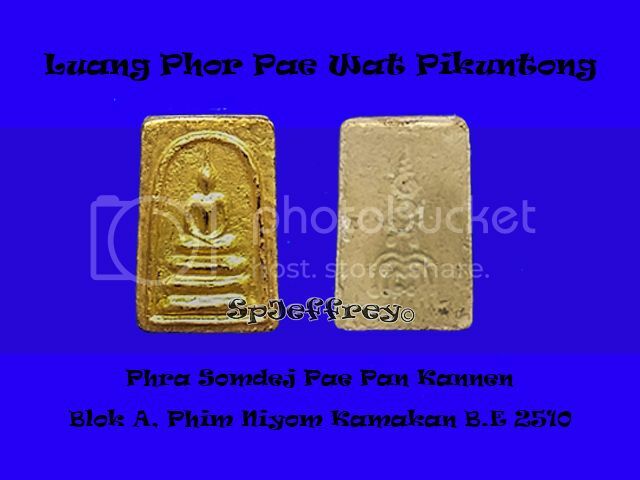 As Ajarn Toh Somdej fakes flood all over Thailand, it is an great alternative to own Luang Pu Nak Somdej as it is still affordable as compared to an genuine Ajarn Toh Somdej which can cost Millions of SGD. Pre-Songkran (water festival) 2015) ~ ! 3 items have been put up for promotional price have a look and interested parties please not not hesitate to Pm me. Promotion only last till 11/4/2015! 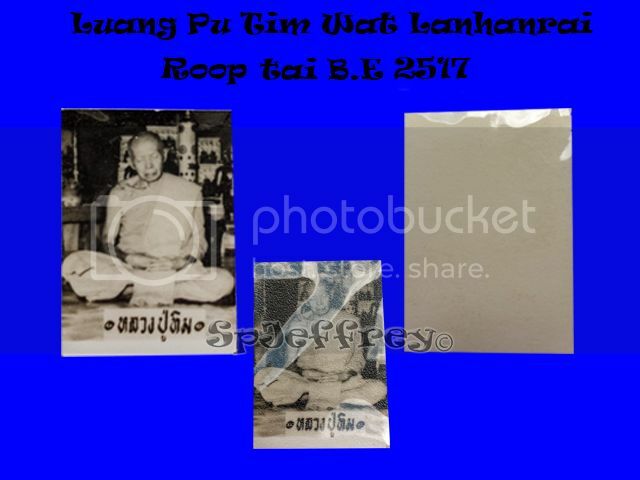 One of the most affordable Khun Pean Chanted By Luang Tim Wat Lanharai and its being publish in book. One more set of items have been added to this promotion~! For the Price of SGD $100 only~! Only one set is available for this promotion =) . 11. 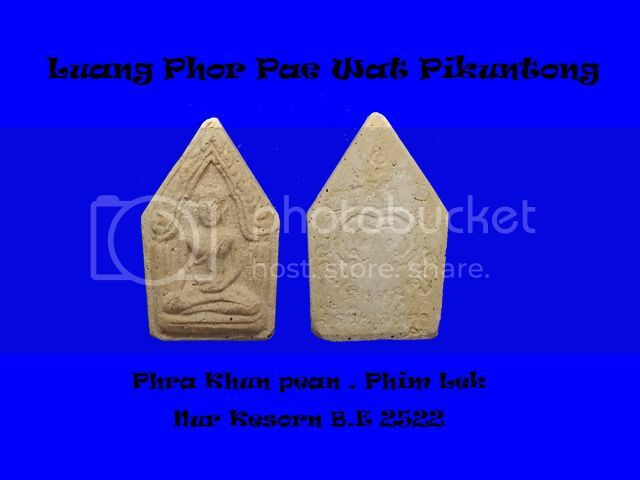 Luang Pu Tim Wat lanhanrai, Loop om code "3"